As new styles from around the globe hit runways, insty and pinterest, I’ve picked out the best to see what is going to trend in 2019. I for one am so excited for the change in scenery. 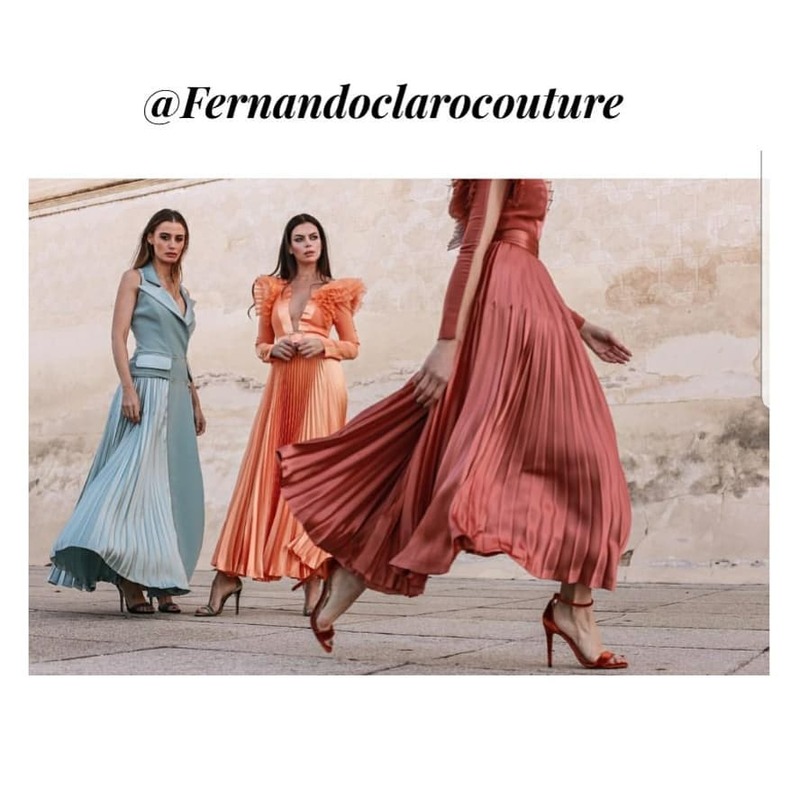 For one there seems to be a boldness that is coming out in FOTF of late and while I am a fully fledged devotee to the feminine aethetic I cannot wait to try these styles either. 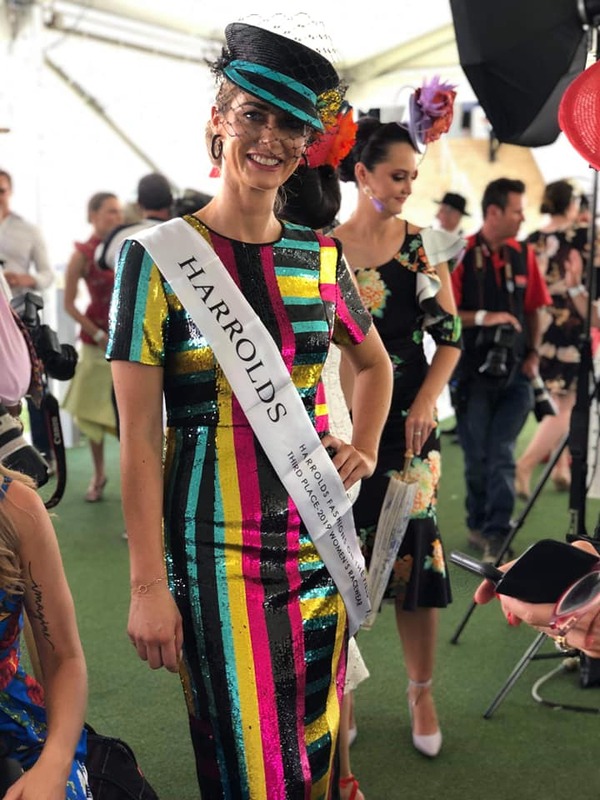 When Emma Wells stepped out in this amazing dress from Diane Von Furstenberg and Sovata Fashion Millinery on January 12th, we as a whole nation of FOTF addicts, took a collective sigh of appreciation for this exciting new take on racewear. Not only did the sequins push the material envelop but the cap instead of the crowns, boaters and turbans that dominated 2018 was a welcomed new comer to the millinery scene. I have a confession to make. On the 9th of February I fell in love… with this amazing outfit from Dettie May. 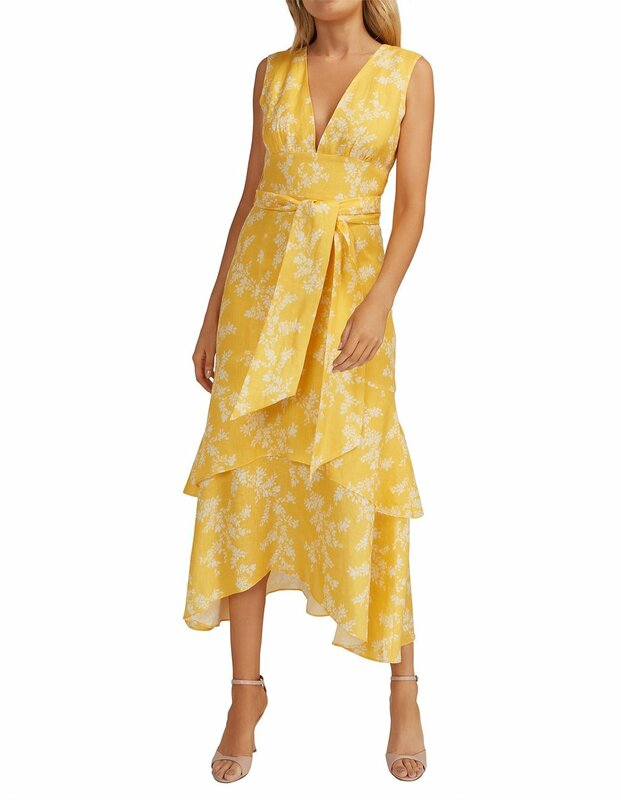 The simple white blouse complimented by this amazing pleated skirt which brings together the boldest splashes of colour and clashes of prints sent my pulse into overdrive!!!!!!!!!!!! 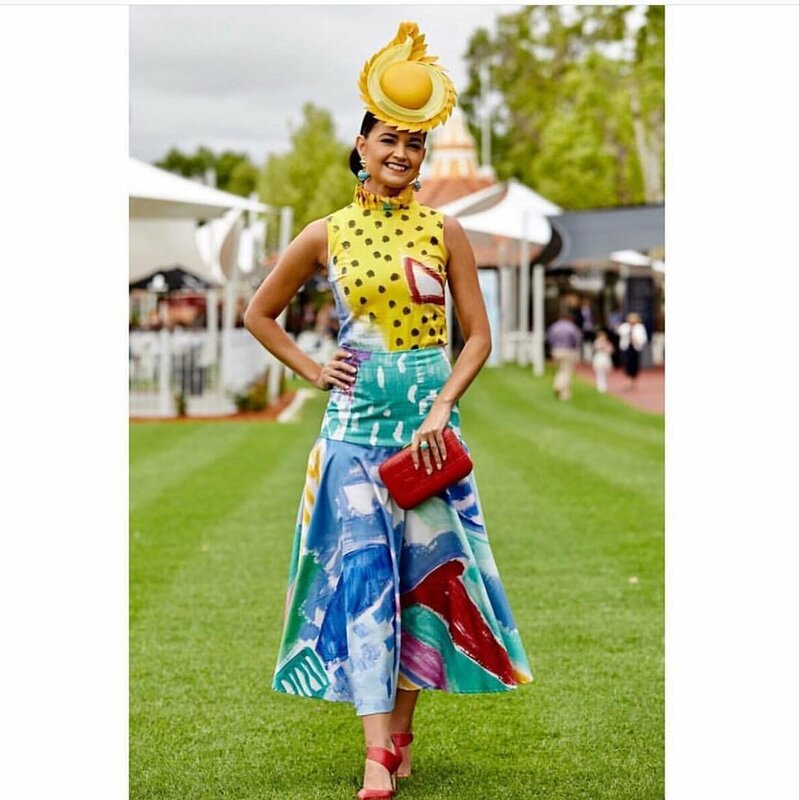 The outfit above won Dettie a place in the much coverted WA Fashions on the Field state competition (formerly known as WA Country Cups). It was also the highly anticipated follow up to this amazing outfit Dettie wore last year from Perths award winning Design house Only One Ashley. One thing I’m sure we’ve all picked up on is that tartan is HUGE at the moment and the major deisgn houses aren’t falling short of delivering us some absolutely sensational inspiration. Like this Burberry midi skirt. I can so imagine this teamed up with a crisp collared shirt and fierce black accessories for a hell of a winter outfit. The strong prints and bold hues of the 70s are here to stay, for the moment anyway. 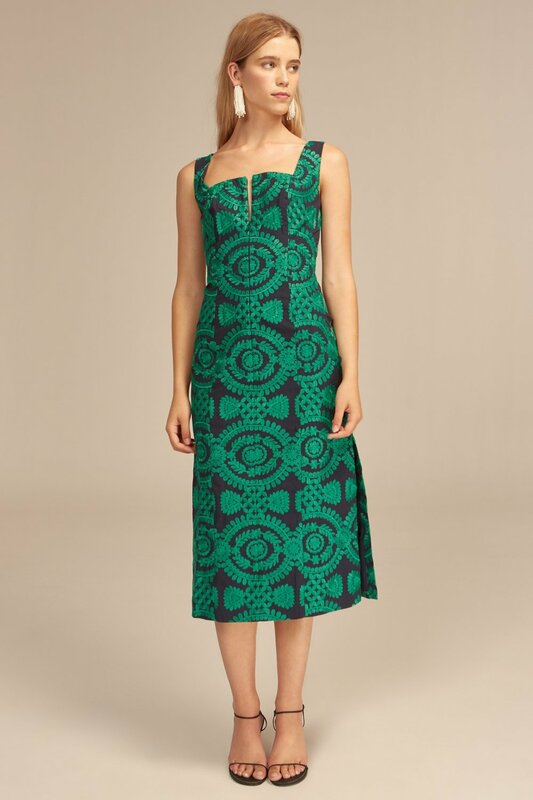 Here are two gorgeous dresses from Fashion Bunker I just adore. Blues and nudes in all shade from tan to taupe, coral to copper embrace the new naturals that seem to flatter all skin tones and ages alike.